Red velvet with gold sequins. 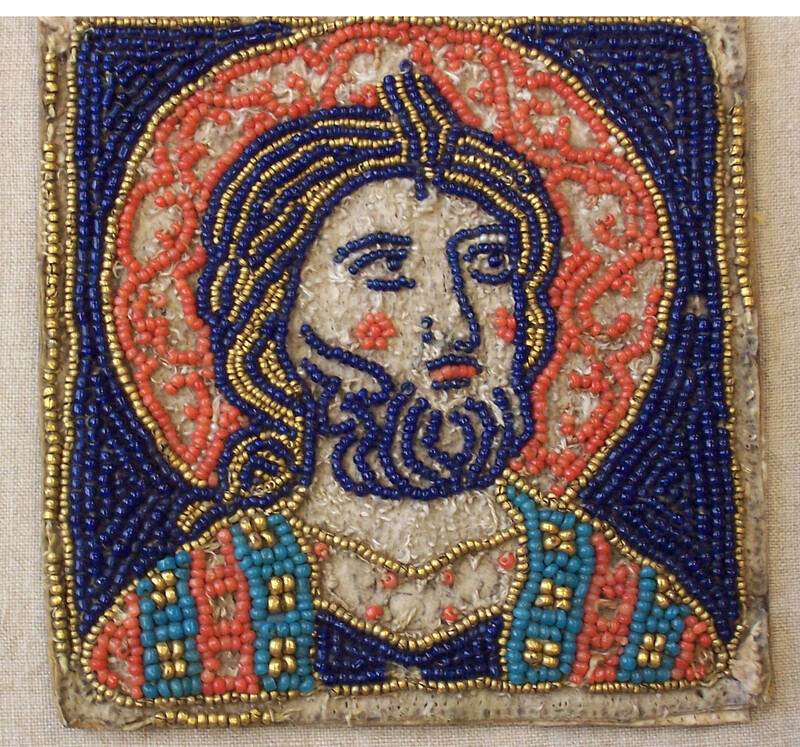 Relief embroidery. 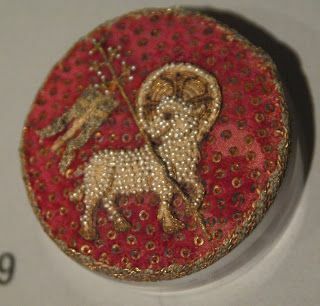 Linen ground with pearls. 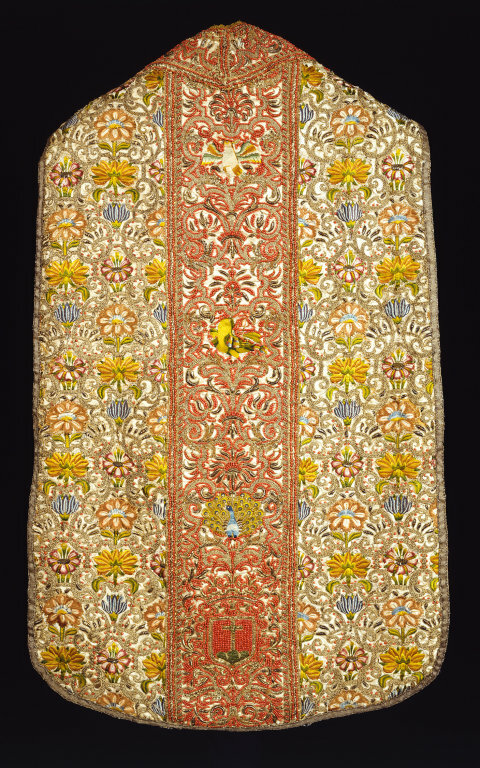 Halo and banner in gold and silk embroidery in couched work, satin and chain stitch. 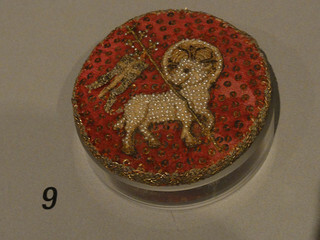 On the other side of the lid is the Veracon, in silk embroidery. 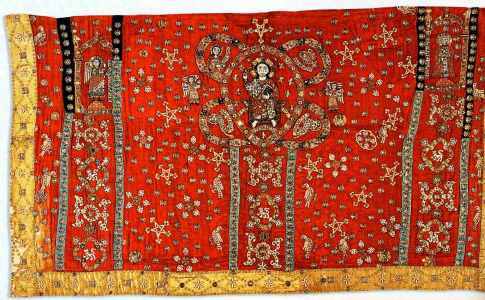 This entry was posted in 15th Century, Church/Ceremonial Items, Period Beadwork and tagged 15th, church, german, seed pearls, sequins. Bookmark the permalink.